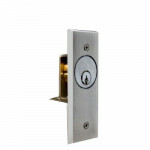 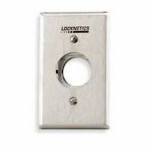 10KEYSWITCHONF BEA Keyswitch, On/Off, Single Gang, Mortise Cylinder 1 1/8”– Not Included Key s..
10KEYSWITCHMOM BEA is a momentary key switch that is easily mounted in any single gang electrical bo..
10JAMBSWITCHONF BEA Jambswitch, On/Off less Cylinder BEA's Jamb Switch is a key switch designed ..
10JAMBSWITCHMOM BEA's Momentary Jamb Switch may be normally open or normally closed. 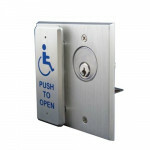 A normally open.. 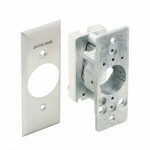 The BEA Combo-Plate is a hybrid of the keyswitch and the Jamb style push plate. 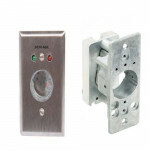 Both devices can be .. 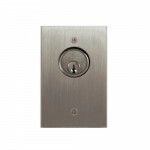 The Locknetics by Schlage 653-05-NS SPDT Momentary Single Direction – Narrow Stile Plate - Heavy Dut.. 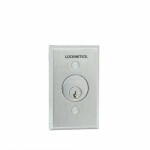 The Locknetics by Schlage 653-04 SPDT Maintained Single Direction Heavy Duty Keyswitch offers moment.. 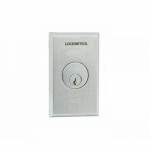 The Locknetics by Schlage 653-0505 (2)SPDT Momentary Bi-Direction Heavy Duty Keyswitch offers moment.. 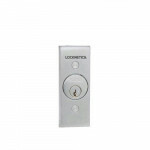 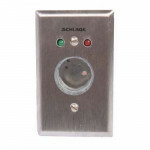 The Locknetics by Schlage 653-05 SPDT Momentary Single Direction Heavy Duty Keyswitch offers momenta..
653-04 L2 Locknetics Key Switch, Single Direction CW, SPST, Maintained, L2 - 2 LEDs green and red, d..
653-04 NS Locknetics Key Switch, Single Direction CW, SPST, Maintained, Narrow Stile Schlage 650..
653-04 NS L2 Locknetics Key Switch, Single Direction CW, SPST, Maintained, Narrow Stile L2 - 2 LEDs ..
653-0404 Locknetics Key Switch, Bi-Direction CW/CCW, 2-SPST, Maintained Schlage 650 Series Infor..
653-0404 Locknetics Key Switch, Bi-Direction CW/CCW, 2-SPST, Maintained - 2 LEDs Green and Red, Dual..
653-041 Locknetics Key Switch, Single Direction CCW, SPST, Maintained, Key Not Removable when Activa..
653-041 L2 Locknetics Key Switch, Single Direction CCW, SPST, Maintained, 2 LED, Key Not Removab..
653-05 L2 Locknetics Key Switch, Single Direction CW, SPST, Momentary, 2 LEDs Green and Red, Dual Vo..
653-14 Locknetics Key Switch, Single Direction CW, DPDT, Maintained Schlage 650 Series Informati..